Little Pud a 4-2-4T Chance Mfg.Co. 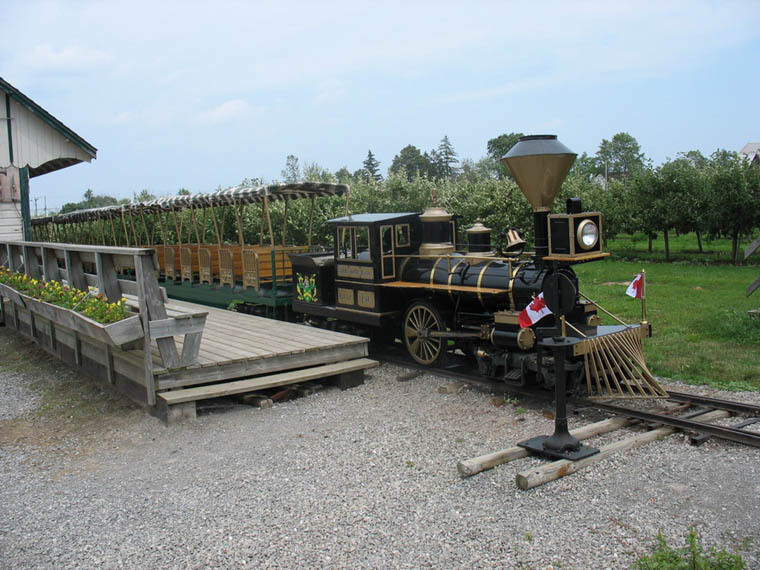 C.P.Huntington "steam" locomotive on a 2 foot gauge train ride around the property. Acquired in 1997 and had previously operated at Crystal Beach Amusement Park which closed in September 1989. Common style of admission tickets used to ride train. 2" x 1" Collection of R. L. Kennedy . 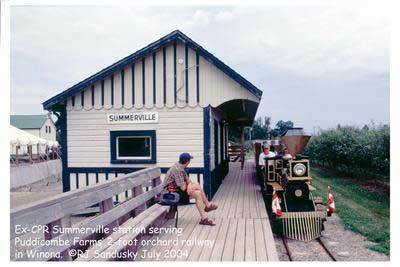 Former CPR Summerville station restored and expanded. THB 71 restored for use as "Caboose Farm Stay" B & B.